In our thousand years’ Catholic history, our Nation have had a number of saints and beatified who are our spiritual treasure. Owing to their prayers, devotion and testimony to faith, Poland endured her dramatic fate and still continues to proceed along the ‘steep and stony path’ towards the throne of Jesus Christ the King. At each stage on that way, Our Lord provides us with new saints so that their words and deeds could enlighten the Church on their pilgrimage. Such a gift of God’s grace in contemporary time seems to be the life of the Servant of God Rozalia Celak through whom God is appealing to our Nation for Enthronement. 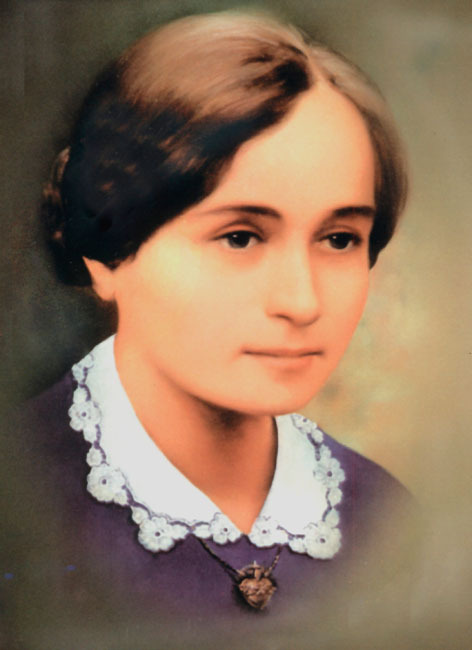 Rozalia Celak and her mission are well known in Poland and discussed in numerous publications in Catholic press and in many books of collected papers. However, there has been so far no in-depth study on her life or critical assessment of her mission based on source materials. In fact, there have been a few doctoral dissertations and master’s theses undertaken on the subject, yet there has been no popular publication based on the above. We wish to thank Mrs. Anna Sorówka-Łach for doing this translation. Without her help, for sure, we all would have to wait a great more amount of time for english version of book about Rozalia Celak. Once again, Miss Anna thanks a milion, God bless You and your whole family.